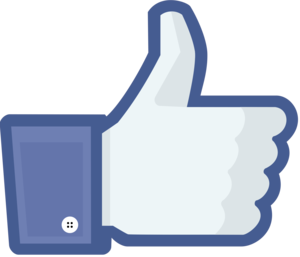 When’s the last time you replied, promptly, to a message sent through Facebook? Aren’t sure? Well Facebook, craving more real-time usage of its service, hopes to change that. On Wednesday the company said it was acquiring WhatsApp, a leading mobile messaging service used by people as an alternative to telecommunications carriers like AT&T and Verizon. Facebook said it was paying $16 billion for the five-year-old buzzy upstart. Facebook already provides some products for communicating online, but many people don’t use them for quick back and forth conversations, CEO Mark Zuckerberg said Wednesday during a conference call with analysts following the company’s announcement of the deal. Those products include a chatting client within Facebook’s site on the desktop, as well as a standalone app, called Messenger, for mobile messaging. But those products, Zuckerberg said, are used mostly between people who are already Facebook friends, and not always in real time. “Someone will send someone a message, and almost like a more informal email, accept a reply later in the day,” Zuckerberg said, specifically of the company’s Messenger app. But WhatsApp, he said, evolved from replacing SMS. “Those are two pretty big and different use cases, and the world needs both,” Zuckerberg said. Or at least Facebook, evidently, needs both. WhatsApp lets people send messages on their mobile device in much the same way they would a text message, but without the standard SMS rates that might apply. Conversations on the app can be carried quickly, either between two people or amongst a small group. Facebook wants those conversations to be carried out in its ecosystem. “WhatsApp complements our services, and will add a lot of new value to our community,” Zuckerberg said. A big chunk of that value, he said, will come from the real-time, in the moment communications carried out by people using WhatsApp. It’s something Facebook wants more of, as part of its quest to win ever more users across the world and provide them with a wider array of services to connect with each other. Under the Facebook umbrella, WhatsApp could fit in nicely with the social media company’s plans to offer a wider array a standalone apps around different types of communication and networking. By acquiring WhatsApp, Facebook could also gain a massive influx of new users, although it’s unclear how much overlap there is between the two companies’ users. WhatsApp has roughly 450 million people who use its service each month, Facebook said, while Facebook has more than 1.2 billion monthly active users. But WhatsApp is on a path to having 1 billion users, Zuckerberg said. “Services having 1 billion people are incredibly valuable,” he said. Facebook’s monetization plans though are harder to gauge. During the conference call, both Zuckerberg and WhatsApp CEO Jan Koum said their focus now would be on growing users, and that ads would not be the best way to make money within a messaging service. WhatsApp does offer a paid subscription model. Facebook Chief Financial Officer David Ebersman said the company did not see any regulatory issues under the deal, and that it was expected to close later in 2014. 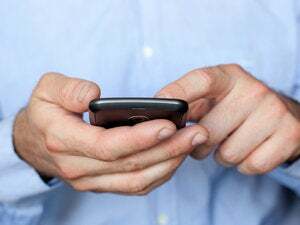 Meanwhile, although mobile operators still make money on text and on traditional voice calls, those services play a shrinking role in their overall business as alternatives sprout up, analysts said. “The horse has already left the stable on this one,” said Phil Marshall of Tolaga Research. Some carriers, including the big U.S. operators seem to be acknowledging this by structuring most plans with unlimited voice and text. The tide has probably already turned against telecommunications carriers, the original providers of real-time communications. While Skype and other voice apps ate into minutes, Internet-based “over the top” services such as WhatsApp also overtook carriers in text-message volume in 2012, research company Informa Telecoms & Media reported last year. That year, the OTT players carried an average of 19.1 billion messages per day compared with 17.6 billion daily on SMS.